As you learned on the show today, some states took the common core test this spring for the first time. 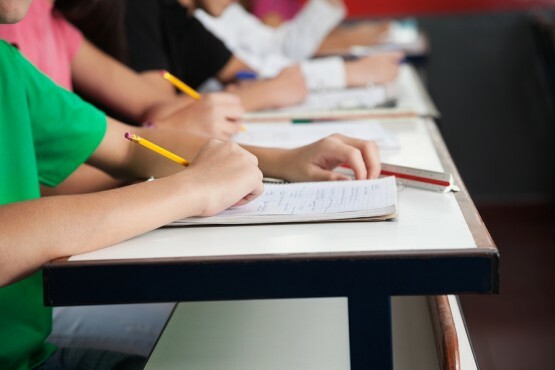 Full or preliminary scores have been released for Connecticut, Idaho, Missouri, Oregon, Vermont, Washington and West Virginia, and overall scores were higher than expected. However a growing number of students didn’t make the cut in reading and math. Since its implementation in states across the country, the Common Core has proven quite controversial. Opponents claim that Common Core exams put stress on students and teachers and waste resources. But proponents say these tests will benefit the education system and will improve how students learn. Scroll through this interactive infographic to find out more. Then, tell us in the comments section below if your school requires these tests and what you think about them. Quiz: Are you too cool for school?